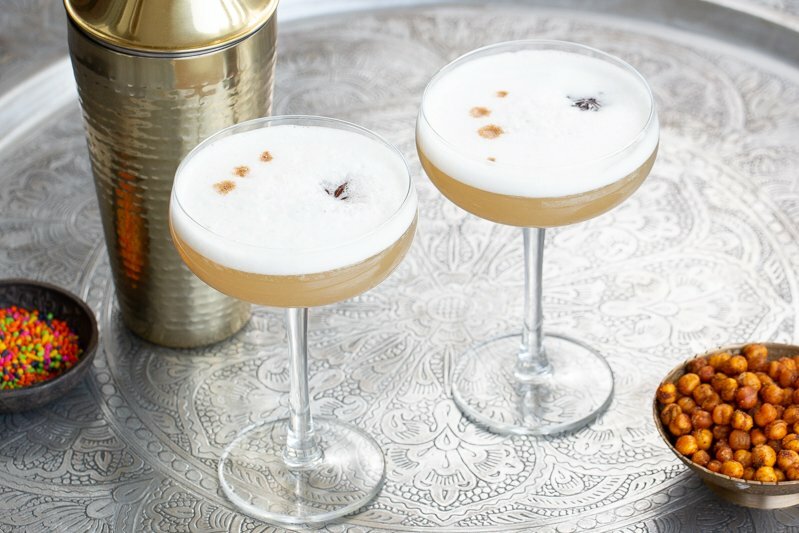 While you’re snacking on our spicy garbanzo beans from our last post, you’ll want to break the heat with this scrumptious cocktail. Step 1 is to make a Chai-spiced simple syrup. You can use it all kinds of cocktails, as well as adding a squeeze to your morning coffee to spice things up to the start of the day. Make the simple syrup by simmering all of the ingredients in a small pot for about 15 minutes, until the simple syrup is well-infused. Strain and cool. Transfer to a jar or container where you can keep in the fridge for several weeks. Put all of the ingredients, with plenty of ice into a cocktail shaker and shake, shake, shake. Strain and serve, garnished with star anise and a few drops of cardamom bitters.